and the runners up from North Weald Wireless Station. 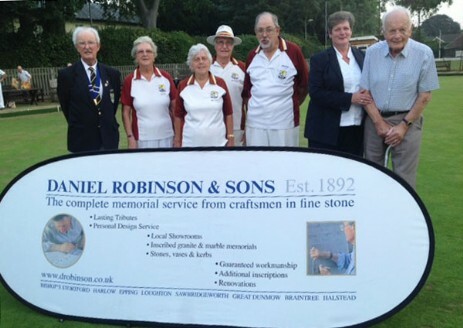 The prizes were presented by Caroline Gunn from Daniel Robinson - the sponsors of the Gala. 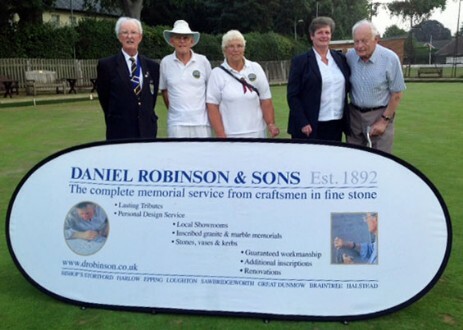 In attendance was Mr. Robinson and Basil Black, President of Sawbridgeworth Bowling Club. All enjoyed the event despite an extremely hot sunny day. The club would also like to thank Hills Prospect for their support.